Earlier today Dustin reviewed Antec's new P280 chassis, but now we've got two of these cases to give away to a couple of lucky readers. In our review, Dustin felt that the P280 brought some of the ease of assembly features that were missing from Antec's lineup without sacrificing much of what made the P180 series so great. Be sure to read his full take on the P280 here, and then leave a comment below (please only leave one comment!) to enter. Entry Period. Each Promotion will contain a specific time period within which entries will be accepted (a “Promotion Period”). The Promotion Period for this Promotion shall run from 5:08 PM ET on November 15, 2011 through 11:59 PM ET on Novemeber 18, 2011. Only entries received during the Promotion Period will be accepted. Prizes. Winning a gift, prize, or other promotional item (a “Prize”) in a Promotion is contingent upon fulfilling all requirements in these Rules. Winners will be selected in a random drawing of eligible entries received during the Promotion Period. AnandTech will notify Prize winners using the contact information provided in the winning entry. Failure to claim a Prize by the time or in the manner specified in the particular Promotion will invalidate any claim to the Prize. Prizes are not transferable. The odds of winning a Prize or the Grand Prize depend on the number of entries received by AnandTech. TO THE MAXIMUM EXTENT PERMITTED BY APPLICABLE LAW, ALL PRIZES ARE PROVIDED “AS IS” AND ARE NOT EXCHANGEABLE FOR FAIR MARKET VALUE. TO THE MAXIMUM EXTENT PERMITTED BY APPLICABLE LAW, ANANDTECH DISCLAIMS ALL WARRANTIES WITH RESPECT TO THE PRIZES, INCLUDING THE IMPLIED WARRANTIES OF MERCHANTABILITY, FITNESS FOR A PARTICULAR PURPOSE, TITLE, AND NON-INFRINGEMENT. 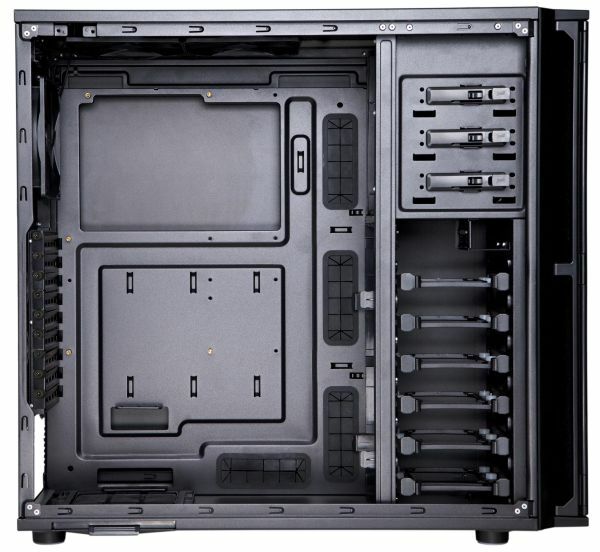 For this Promotion, one winner will be selected by Decemeber 1, 2011 and will receive Antec P280 case described above (“Grand Prize”). The Total U.S. Retail Value of the Grand Prize is $200.00. The Grand Prize may not be substituted for cash. The Grand Prize winner will be solely responsible for all applicable taxes, fees, and surcharges associated with receipt and/or use of the Grand Prize. After the Grand Prize winner has been notified and has complied with all applicable Rules, AnandTech will post the Grand Prize winner’s name on this website.